By the way, the journal cover you can see in front of her will be the subject of her new, day long, craft & dine workshops. If you would like to make your own journal cover, email Lisa at lisabaker1@btinternet.com for all the information. You can see from the photos that there were samples everywhere, Lisa wanted to provide as much inspiration as possible. This week we are slowly but surely getting the website up to date with all the new products. If you saw something you wanted on Saturday, but forgot to buy it & it's not yet on the website, please drop us an email & we'll find it for you. Thank you so much to everyone who helped make the day such a success & who supported the raffle - approximately £120 was raised for the Heart of Kent Hospice. 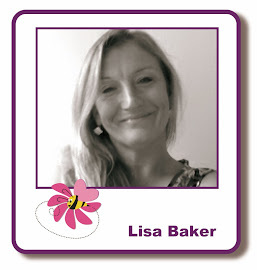 Lisa B Designs Facebook page, on Twitter & if we get enough notice, here on the blog. I know lots of you want to know what the August class projects will be, but because of the amount of work Lisa has at the moment, they have yet to be decided. They will be cards & we will try to let you know what type before the class if at all possible. Looks like you all had a great day. Wish I lived closer!